First, and most importantly - we're finally getting our fence! Yes, that's right - in case you didn't know, The Stallion and I have been living in our new home for almost 10 months with 2 labs and no fully-fenced backyard. And Cooper was hit by a car one night because, well, not really because of the lack of complete fence - but still. I'll have to share that story at a later date. Cooper survived virtually unscathed. Although we did need to take a trip to the doggie ER that night for some stitches and an X-ray. 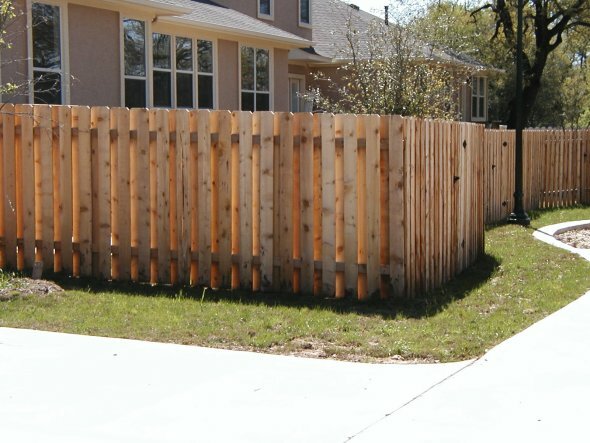 Here's the type of fence we're putting in - it's called shadowbox or board-on-board. 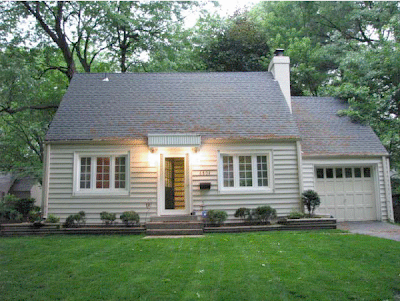 Ours will be in red cedar - a bit darker and redder in color. We've already got 3 sides of metal fence - this will just finish the south side and front, connecting to the house. ...And enclosing 2 crazy labs! Shortly after the fence is installed, we'll put in all new landscaping. We are so, so, SO excited for this. We've gotten the inside of our home pretty much to where we want it - except for the lack of furnishings in our extra bedrooms - and now we're ready to bring the curb appeal and function of our garden up to speed. In case you've forgotten, here is our lovely home. Last weekend, we ripped out those planter boxes made out of landscaping timbers. 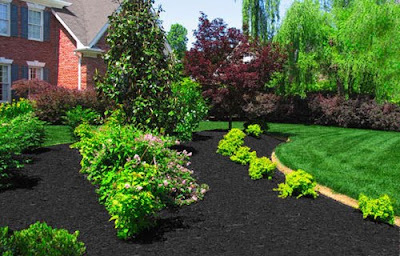 We're going for a bit more natural, out-of-the-box feel and will replace those with 'planters' made merely out of curved landscape edging and covered in mulch. So, really, they won't be planters at all. Just an area designated to mulch and bushes. And the edge will be a lovely flowing curve. We liked these bright yellow-green little guys. And thought these tall plants would make a great architectural framing of the gateway to the backyard. 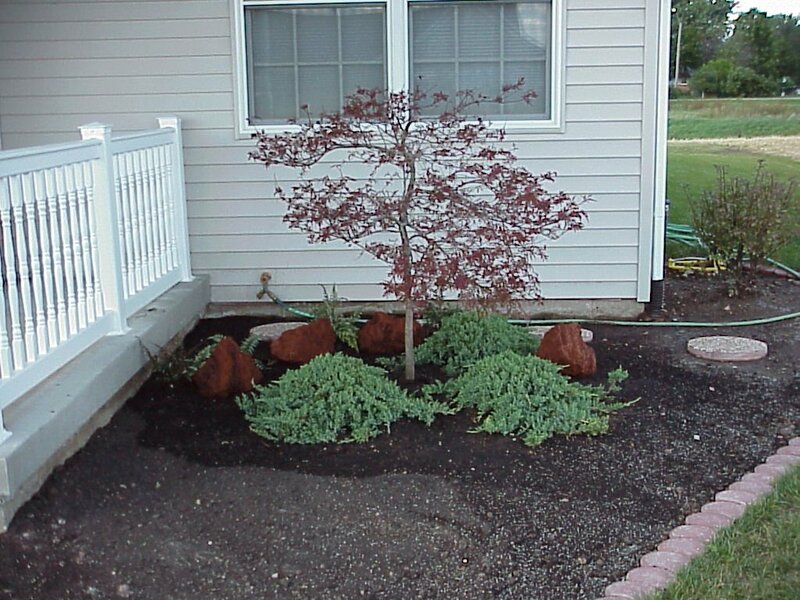 We're going to frame out the left corner with a Red Dragon japanese maple. Just a little guy, but The Stallion fell instantly in love with it. We're seriously considering placing a large boulder next to it, too. I went and stood out on the curb, looking at the front of our house (same angle as the picture I showed above), and really felt we needed something to anchor the other front corner, near the garage. 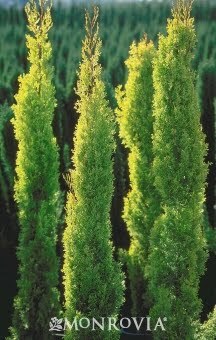 I think a tall, narrow Italian Cypress would do a great job. We figure we'll plant some ornamental grasses up front, along with the bright, little bushes. Makes a nice texture variation. 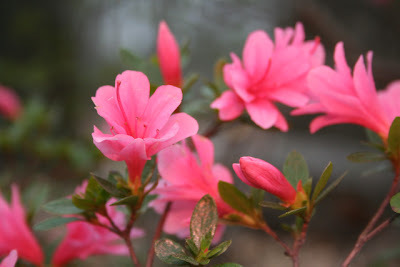 We found an absolutely gorgeous azalea bush at the nursery, and are contemplating using them as an intermediary between the small stuff in front and the big stuff in back. 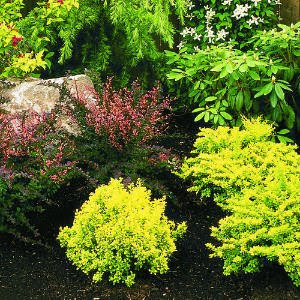 But azalea bushes can get really big... I wonder how successful we'd be at keeping them pruned and if they can stay small and still survive. 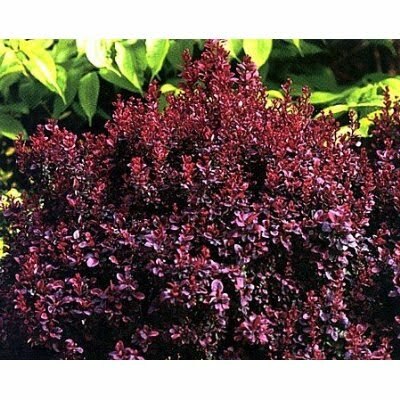 We really, really want some dark red/purple bushes to be the foundation at the back. But these plants require full sun for best color. Without the sun, they're more green. So, the jury's still out on that one. We need something big for the back. 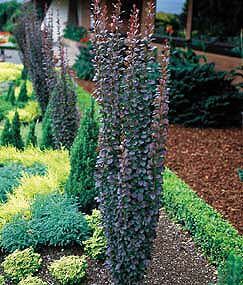 It's a bit difficult to do because they'll have to grow into themselves - everything at the nursery is about the same size, but some will grow much more than others. Just makes it a bit more difficult to pick out and picture in your mind's eye. All of these plants will be set in black mulch. We're going to make a walkway to the backyard out of plumwood flagstone - around the left side of the house, by the japanese maple. It's got a lot of texture and color variation - almost a bit like rusted iron. We're also planning to do a very small retaining wall along the left corner that will taper off at the edges like the wall in the picture above. Except it will be much, much smaller. And in the same kind of rock as the pavers, which will be running alongside it to the backyard. I want to plant peonies along the front of the fence, to the left of the house. ...and lots of peonies. They're so beautiful. My parents have a lot at their house, and they were always the flower we'd take to put on the graves in the family plot on Memorial Day. They were Great Aunt Emeline's favorite, too. They attract ants, though - so they have to have a good bath before being put inside on the table. 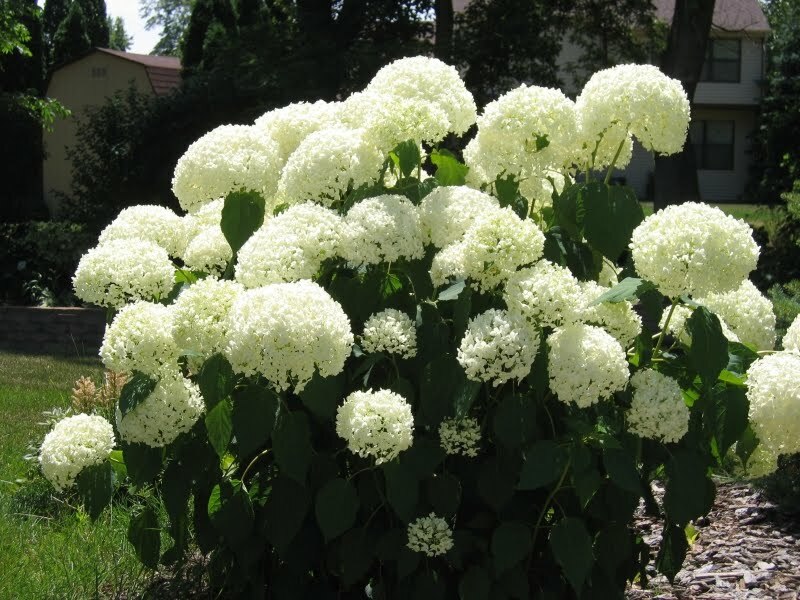 But what about hydrangeas? They're so beautiful, too. 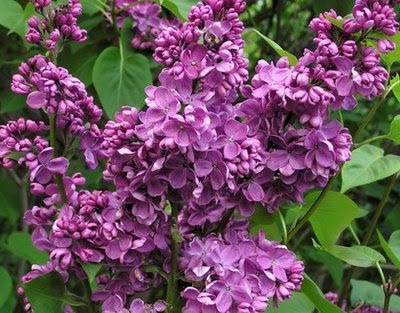 And lilacs! I LOVE the smell of lilacs. 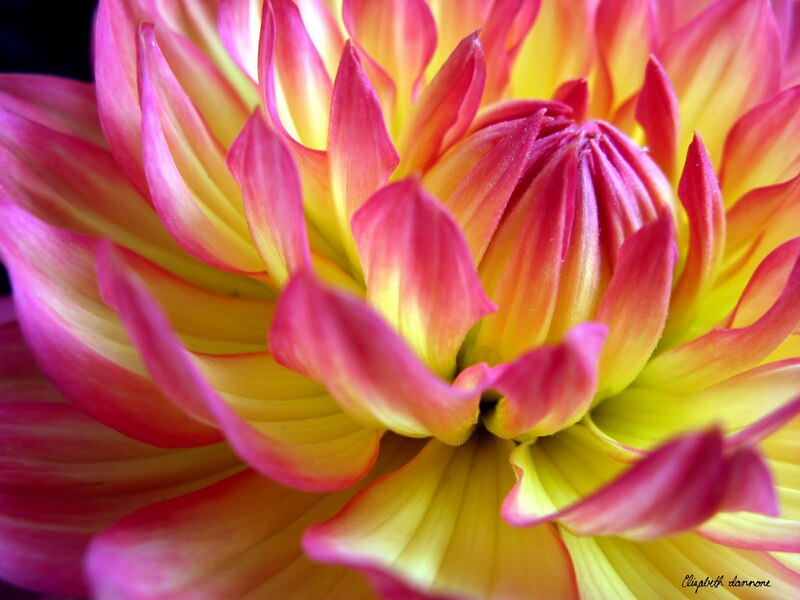 Dahlias. Oh, dahlias. How gorgeous. I wonder how much The Stallion will let me get away with. Good thing he loves color. I wonder what I'll end up going with. As if I need more to choose from - but if you have any ideas, send 'em my way! Up now, Step 1: The Fence. Which will be installed by some strapping young men from Burge.